Please refer to the calendar in the homepage for the regular holiday. It is displayed on each product page. For vehicle purchase, in addition to the main body price, various taxes such as consumption tax, weight tax, stamp etc., registration fee, maintenance fee, mandatery liability insurance, transfer fee in case of bank transfer are necessary. In addition, we will inform you vehicle delivery fee individually. Please see here for a list of various expenses when purchasing a vehicle. Consumption tax is necessary for purchasing parts and supplies other than vehicles. In addition, we may receive ordering fee or sending fee ( from manufacturer to Powers ) to purchase those parts. When installing or exchanging parts is accompanied, a wage may be incurred. A delivery fee to customers of the parts or supplies, we will inform you individually according to packing size and address in a case of with the products price and total. In a case of cash on delivery, cash on delivery commission is required. Over-the-counter sales, telephone, fax, e-mail, please use the e-mail inquiry form. * Credit card can only be used for payment for repair, maintenance and inspection. * Please bear the bank transfer fee. * Purchase of parts and supplies not accompanied by replacement, please pay the comodity price in advance. We do not accept cancelation or giving back goods after delivery or handed. However, in the unlikely event that a defective item or a product different from the order arrived, we will replace it with responsibility. Please contact us by phone within seven days after delivery. 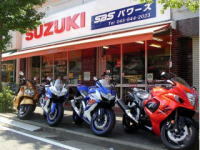 At the time of cancellation by the customer's intention in the state where "a new car has been delivered to shop front" or "license plate registration completed", 20% of the total cash payment will be charged at the lower limit of 10,800 yen. Even if before the registering, we will charge for expenses for maintenance or replacing which we have already started. Furthermore, vehicle delivery with Land transportation etc., we can not receive cancelation after sending it. Please acknowledge it beforehand.